offline evaluation: fixed historic dataset and fixed targets for which recommendations/solutions need to be computed/submitted. online evaluation: dynamically changing targets. 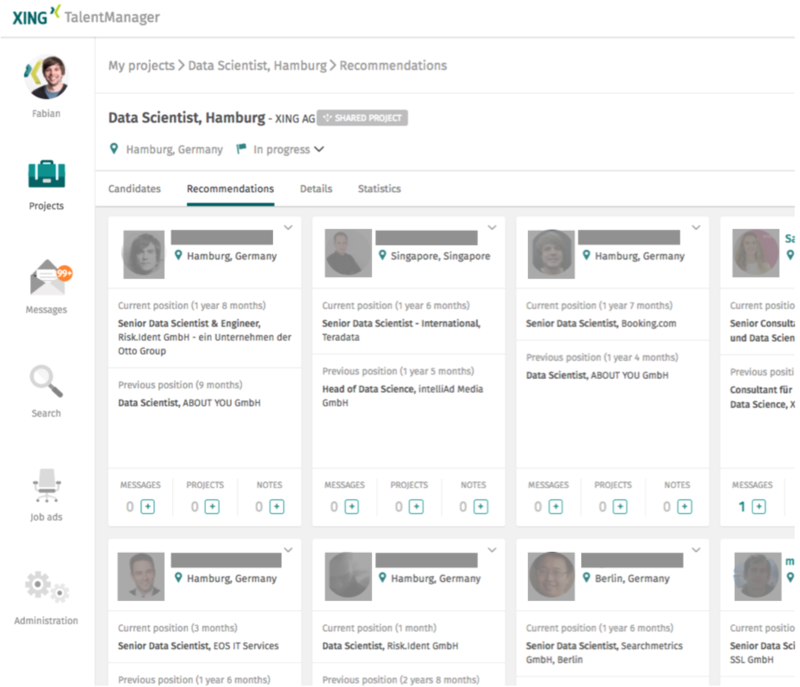 Recommendations submitted by the teams will actually be rolled out in XING's live system (details about the online evaluation such as the approach for ensuring fair conditions between the teams will follow). Task: given a new job posting p, the goal is to identify those users that (a) may be interested in receiving the job posting as a push recommendation and (b) that are also appropriate candidates for the given job. the top teams (which also pass a XING baseline) will be allowed to participate in the online evaluation. In the online challenge, teams will only submit their best user for an item to the system. For each target item users are allowed to submit one or more target users. However, each user can only be submitted once. Since push recommendations are presented to the users in a more prominent way, we decided on this restriction. These recommendations are then played out to the user over the following channels. Balancing user interest and recruiter demands: In contrast to last year's challenge which was solely focusing on estimating how relevant a job is for a given user, this year we will focus on both: Job recommendations should be relevant to the users and at the same time the users who receive those job recommendations also need to be appropriate candidates for the given job (e.g. the fact whether a user received interest from a given recruiter is part of the evaluation measure). Balancing relevance and revenue: Some of the content is paid and some users pay for subscriptions. Teams will need to balance between relevance of recommendations and monetary aspects (i.e. the money that is earned with the recommendation). Novelty / sparsity: recommendations need to be computed particularly for newly created job postings (those postings have not received any interaction). Smart targeting of push recommendations: also, teams will need to estimate how likely it is that a user is actually interested in job recommendations, e.g. 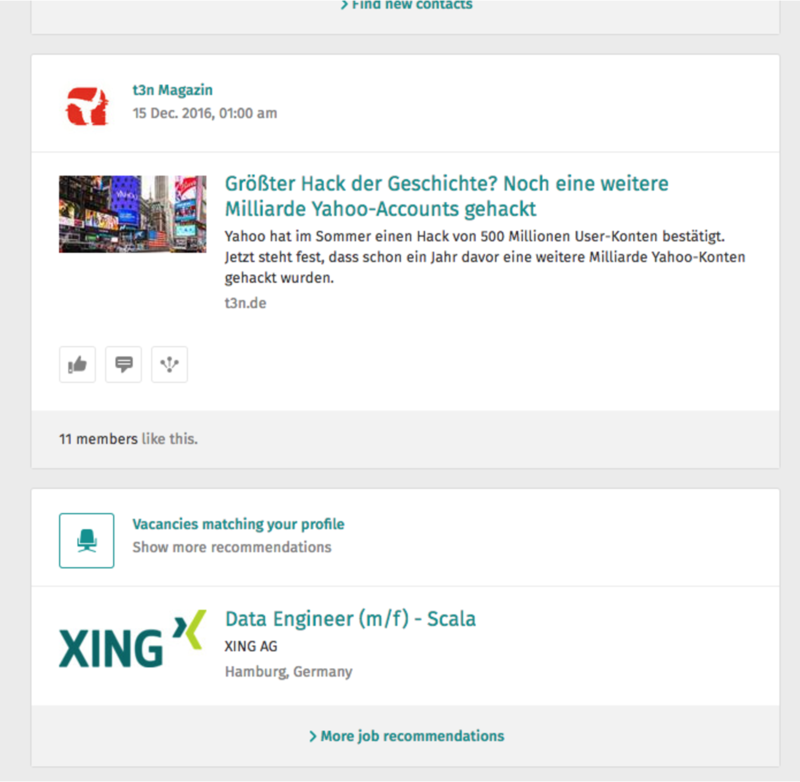 users that are not interested in job recommendations may delete recommendations or disable push recommendation notifications in case they receive too many (the latter is primarily relevant for teams that participate in the online challenge). score(item, users) sums up the success rates of the users and the item-based success rate. At maximum, one can thus earn 52 points (= (1 + 5 + 20 - 0) * 2) per user-item pair. premiumBoost(user) userSuccess scores count double points for premium users. itemSuccess(item, users) if at least one successful push recommendation was created for a given item then this counts 50 points for paid items and 25 for other items. satisfied (and dissatisfied) premium users have a stronger impact than basic users. The above evaluation metrics will be applied for both offline evaluation and online evaluation (in the offline evaluation, the target items won't change during the challenge while in the online evaluation, new target items are relased on a daily basis). The training dataset is supposed to be used for experimenting and training your models. You can split the interaction data into training and test data. 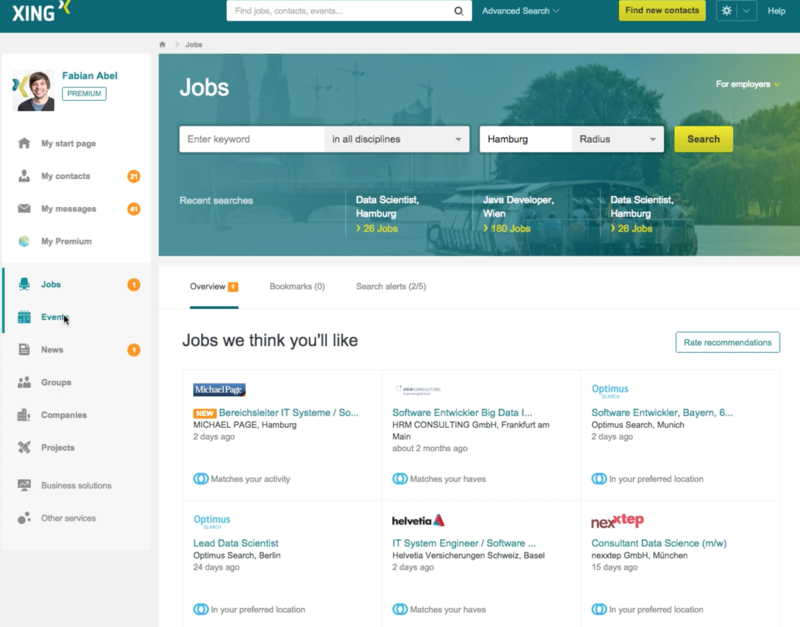 For example: you can leave out the last complete week from the interaction data and then try to predict whether for a given job posting, you can predict the users that will positively interact with the posting. some attributes of the users may have been removed or flipped to NULL / unknown. Attempting to identify users or to reveal any private information about the users or information about the business from which the data is coming from is strictly forbidden (cf. Rules). discipline_id anonymized IDs represent disciplines such as "Consulting", "HR", etc. industry_id anonymized IDs represent industries such as "Internet", "Automotive", "Finance", etc. items.csv: Details about the job postings that were and should be recommended to the users. region is specified for some users who have as country `de`. Meaning of the regions: see below. targetItems.csv: contains the list of item IDs (items.id) for which recommendations should be computed and submitted. targetUsers.csv: set of user IDs (users.id) which are allowed to appear in the recommendations/solutions that are submited. Hence, recommending an item to users that are not in targetUsers.csv will not gain any points during the offline challenge. Note: solutions that are submitted are only allowed to conatin items and users from the above files. Attempting to identify users or to reveal any private information about the users or information about the business from which the data is coming from is strictly forbidden. It is strictly forbidden to share the datasets with others. It is not allowed to use the data for commercial purposes. The data may only be used for academic purposes. It is not allowed to use the data in any way that harms XING or XING's customers. Licence of the data: All rights are reserved by XING AG. Each team should submit a paper describing the algorithms that they developed for the task (see paper submissions & workshop). Teams without a paper submission to the RecSys Challenge workshop will be removed from the final leaderboard. It is not allowed to crawl additional information from XING (e.g. 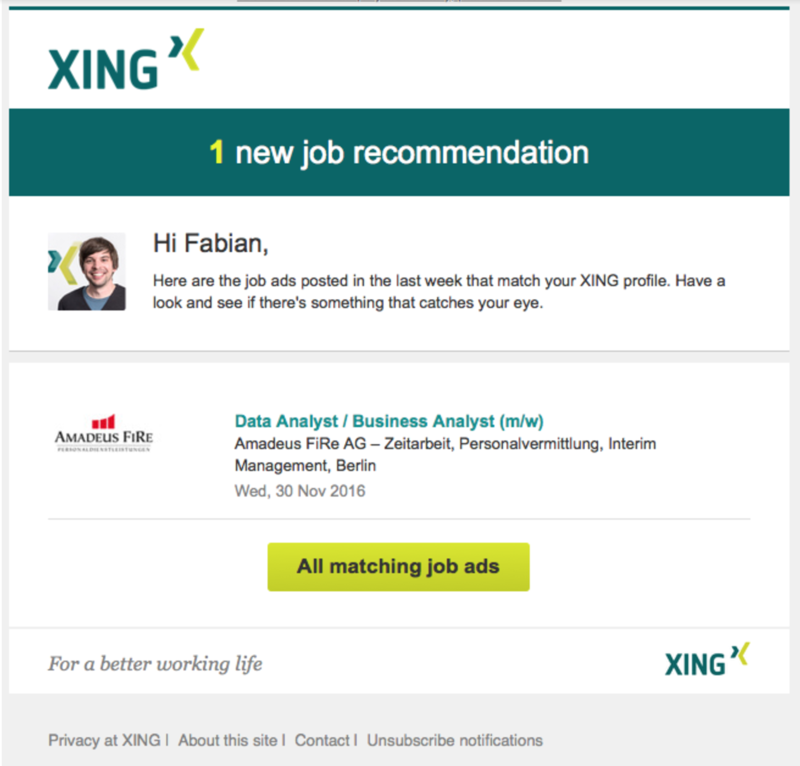 via XING's APIs or by scraping details from XING pages). Please stick to the rules above, only sign-up for one team and stick to the submission limits: you can upload at maximum 20 solutions per day (for the offline challenge). We may suspend a team from the challenge if we get the impression that the team is not playing fair. If you are unsure of whether something is allowed or not, contact us (e.g. create an issue on github) and we will be happy to help you. Above all remember it's all for science, so be creative, not evil! Questions and remarks about the procedure and other aspects concerning the challenge can be submitted as github issues. In order to get the prize money, teams have to describe their algorithms in an accompanying paper and present it during the RecSys Challenge workshop in Como, Italy. Top teams get access to API of the online challenge. Every day, new target items will be released for which the teams are supposed to compute recommendations, i.e. identify users that may be interested in these items. Teams download the new target list via API, compute recommendations and submit their solutions via API. Teams can script their recommender systems to regulalry pull from the API to check for updates. August 27th-31st Workshop will take place as part of the RecSys conference in Como, Italy. Each team - not only the top teams - should submit a paper that describes the algorithms that they used for solving the challenge. Those papers will be reviewed by the program committee (non-blind double review). At least one of the authors is expected to register for the RecSys Challenge workshop which will take place as part of the RecSys conference in Como, Italy. Papers should not exceed 4-6 pages. They have to be uploaded as PDF and have to be prepared according to the standard ACM SIG proceedings format (in particular: sigconf): templates. We aim to publish the accepted papers in a special volume of ACM Sig Proceedings dedicated for the challenge (cf. Proceedings of the last year: ACM, DBLP).